A review of some of the best whey protein powders on the market today. 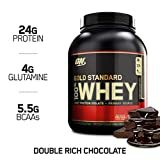 When you are searching for the best whey protein powders you have to research a lot to actually find one that seems promising and the protein fits in your budget range. With that being said, I have compiled a list of the top whey protein powders in the industry, that I have personally used and I have experimented with each one to determine which one was actually the best. I determined this by judging them on their taste, effectiveness, mixable, the specifications of the product, and I judged them on an overall rating with all those combined with a one to five star rating. I did this experiment to see which one could give me the best results in the shortest time possible. To do this I weighed myself before and after I used each protein and I also took a picture before and after. This gave me better resources where I could see which one had the best results. So, without further ado, here are my favorite whey protein powders, starting from the best and ending with the worst. If you have never heard about Optimum Nutrition whey protein then you need to go buy some NOW! In my opinion, and I can guarantee that a lot of other people will say this, that this whey protein is by far the best protein on the market. If you were to read only one sentence in this article, it would be the sentence before this one. In my experiments, this protein helped me gain the most muscle in the shortest amount of time. If you were to use this protein and eat a well balanced diet, you can see amazing results in a few weeks. Here is my break down and my analysis. From all the proteins I have used in the past, this one has the best taste. The flavor I tried was vanilla chai. Usually, when I use a protein after a while I get sick of its taste, but with this flavor I didn’t get sick of it at all. Like I mentioned before, Optimum Nutrition 100% Whey Gold Standard gave me the best results out of all the proteins that I tried. It helped me build muscle and it also helped with my energy levels. I was amazed the first time I used this product because of it's ability to mix into a liquid. All the other proteins didn’t even come close to it's mix ability. I usually mix it with whole milk, but it also can be mixed with water. I like to mix it with milk because it tastes a lot better. My overall rating for this protein would be 5 out of 5 stars. I really couldn’t find anything wrong with this product. That is why after the experiment I decided that this was the only protein that I will be using for a long time. This whey protein isn’t as good as Optimum Nutrition’s whey protein, but it is still a good protein. The thing that I like most about this whey protein is that it doesn’t contain any fluff ingredients. "Fluff" meaning, ingredients that were thrown into the protein, so that consumers would think they are getting a better deal. They would read all the ingredients that are in the protein and want to buy it more. But most protein manufactures only put small traces of ingredients, just to say on the product label, that they have a lot more beneficial ingredients than their competitors. But with Now Foods whey protein, there are no fluff ingredients. This part may seem like a bad feature or may seem to be a good feature to people, but this protein doesn’t come in any flavors; it’s unflavored. This can be good because you can practically mix it with any drink that you want. I still mixed it with milk, but you can mix it with juice, water, or anything else you can think of. This protein gave me results that were similar to Optimum Nutrition’s whey protein. It wasn’t as good, but I did see great results when taking this protein. I gained about five to ten pounds of lean muscle after a month of using this product. I estimated this because I don’t have a reliable scale to weight myself. This protein also mixed well when I put it in milk. There weren’t any clumps on the sides of the glass. This protein is a little bit more money than a lot of other proteins, but it’s totally worth the price. That’s really the only thing that I didn’t like about this protein. Other than it’s price I really cant say anything bad about this product. I give this product a 4.5 out of a 5 rating. The last protein that I used is a little less known in the supplement world. When I bought this protein, I was a little unsure of it because I have never heard of it before. But, I wanted to throw a wild card in the mix to see if it out did the other two proteins. Although it was a good protein overall, it didn’t even come close to matching up with the two proteins mentioned above. Although when reading some of the reviews on Amazon, a lot of people like this protein, so maybe it’s just me. I can only give my own opinion. I chose to buy the chocolate flavor and it was O.K., but it really didn’t taste all that great. Although I didn’t try the unflavored version of this protein, so maybe that one is better. They also have the flavors vanilla, French vanilla, and natural flavor. I saw some results, but not as good as the other two proteins. But I saw a little increase in the size of my muscles, and an increase in the weight I worked out with. I became frustrated with this protein and its inability to mix well with liquids. 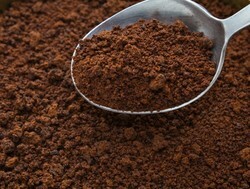 I first tried to mix it with milk, but every time I did I would find clumps of the powder on the bottom of my glass. Then I tried to mix it with mater, but it had the same results. So, if you get frustrated with clumps of powder in your drink, like I do, then I wouldn’t recommend this product. But the way I mix my protein shakes is I mix them with just a spoon. So maybe if you mixed this protein in a blender you may have better results. The taste that I tried wasn’t that good and the mix ability wasn’t that good either. So I five this a 2.5 out of a 5 rating. The best protein supplements for women are not necessarily designed specifically for women. Read more to find out what are the top protein brands for women. Thanks! Recently, I haven't been using supplements because I been focusing on my diet more than anything, but I will probably go back to drinking protein shakes again. Thanks for the comment!